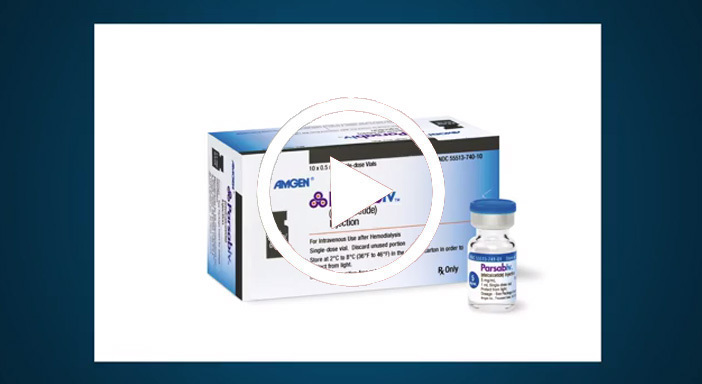 THOUSAND OAKS, Calif. (Feb. 7, 2017) – Amgen (NASDAQ:AMGN) today announced that the U.S. Food and Drug Administration (FDA) has approved Parsabiv™ (etelcalcetide) for the treatment of secondary hyperparathyroidism (HPT) in adult patients with chronic kidney disease (CKD) on hemodialysis. Parsabiv is the first therapy approved for this condition in 12 years and the only calcimimetic that can be administered intravenously by the dialysis health care team three times a week at the end of the hemodialysis session. Often occurring in patients in Stage 5 of CKD,1,2 secondary HPT refers to the excessive secretion of parathyroid hormone (PTH) by the parathyroid glands in response to decreased renal function and impaired mineral metabolism.1,1,3 Parsabiv binds to and activates the calcium-sensing receptor on the parathyroid gland, thereby causing decreases in PTH. Secondary HPT is a serious condition and the proportion of patients unable to reach recommended secondary HPT lab targets has more than doubled in the last five years. Sensipar® (cinacalcet), the first FDA-approved calcimimetic, became an important treatment for patients with secondary HPT on dialysis based on its ability to reduce three important biochemical abnormalities (PTH, calcium, phosphorus). Parsabiv is a novel calcimimetic that can be delivered intravenously at the end the hemodialysis session and has been demonstrated to effectively reduce levels of PTH, corrected calcium and phosphate. These reductions were maintained for up to 78 weeks. 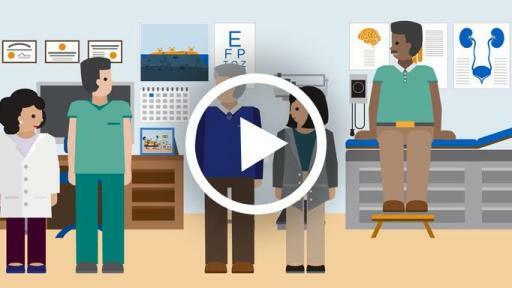 Amgen is committed to working with patients, dialysis providers and payers to deliver value-based solutions for managing the burden of secondary HPT. Based on the doses expected to be used in clinical practice, the monthly costs of Parsabiv and Sensipar should be comparable. The approval of Parsabiv in the U.S. was largely based on data from two placebo-controlled Phase 3 studies, both of which met their primary endpoints. In the two 26-week, randomized, double-blind, placebo-controlled studies, an aggregate of 1,023 patients with moderate-to-severe secondary HPT (PTH greater than 400 pg/mL) on hemodialysis were randomized to receive intravenous Parsabiv or placebo three times a week, at the end of their dialysis sessions in addition to standard of care that could include vitamin D and/or phosphate binders. The primary endpoint of both studies was the proportion of patients achieving greater than 30 percent reduction from baseline in PTH during the Efficacy Assessment Phase (EAP), defined as weeks 20 through 27. Secondary endpoints included the proportion of patients with PTH less than or equal to 300 pg/mL during the EAP; and percent reductions in PTH, albumin-adjusted calcium (cCa), phosphate (P) and cCa x P during the EAP. Additionally, greater percent reduction from baseline was achieved in Parsabiv-treated patients than placebo-treated patients during the EAP, for PTH, corrected calcium and phosphate in both studies. In a pooled analysis of the two Phase 3 placebo-controlled studies, asymptomatic reductions in serum calcium and symptomatic hypocalcemia occurred more frequently in patients treated with Parsabiv compared to placebo (64 percent versus 10 percent, and 7 percent versus 0.2 percent, respectively). Other commonly reported adverse reactions were muscle spasms (12 percent versus 7 percent), diarrhea (11 percent versus 9 percent), nausea (11 percent versus 6 percent), vomiting (9 percent versus 5 percent), headache (8 percent versus 6 percent), and paresthesia/hypoesthesia (6 percent versus 1 percent). 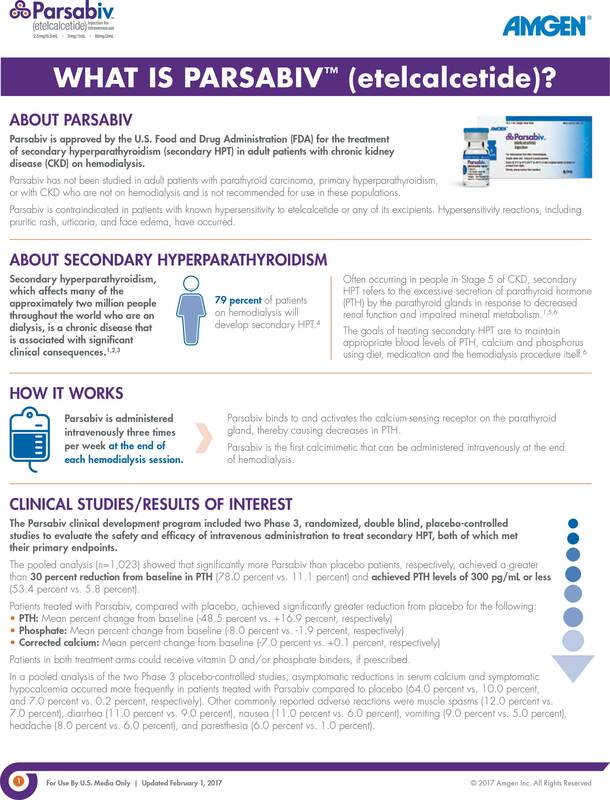 About Parsabiv™ (etelcalcetide) in the U.S.
Parsabiv is a novel calcimimetic agent indicated for the treatment of secondary hyperparathyroidism (HPT) in adult patients with chronic kidney disease (CKD) on hemodialysis. Parsabiv has not been studied in adult patients with parathyroid carcinoma, primary hyperparathyroidism, or with CKD who are not on hemodialysis and is not recommended for use in these populations. A calcimimetic is a drug that mimics the action of calcium by activating the calcium-sensing receptors on the parathyroid gland. Parsabiv binds to and activates the calcium-sensing receptor on the parathyroid gland, thereby decreasing PTH levels. 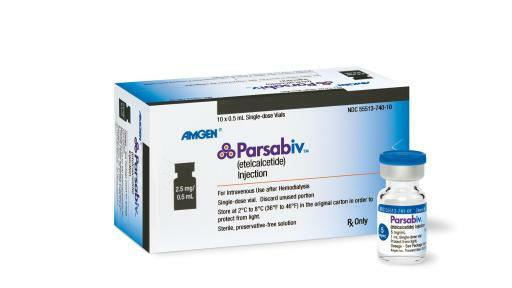 Parsabiv Important Safety Information in the U.S.
Contraindication: Parsabiv™ is contraindicated in patients with known hypersensitivity to etelcalcetide or any of its excipients. Hypersensitivity reactions, including pruritic rash, urticaria, and face edema, have occurred. Hypocalcemia: Parsabiv™ lowers serum calcium and can lead to hypocalcemia, sometimes severe. Significant lowering of serum calcium can cause QT interval prolongation and ventricular arrhythmia. Patients with conditions that predispose to QT interval prolongation and ventricular arrhythmia may be at increased risk for QT interval prolongation and ventricular arrhythmias if they develop hypocalcemia due to Parsabiv. Closely monitor corrected serum calcium and QT interval in patients at risk on Parsabiv™. Significant reductions in corrected serum calcium may lower the threshold for seizures. Patients with a history of seizure disorder may be at increased risk for seizures if they develop hypocalcemia due to Parsabiv™. Monitor corrected serum calcium in patients with seizure disorders on Parsabiv™. Concurrent administration of Parsabiv™ with another oral calcimimetic could result in severe, life-threatening hypocalcemia. 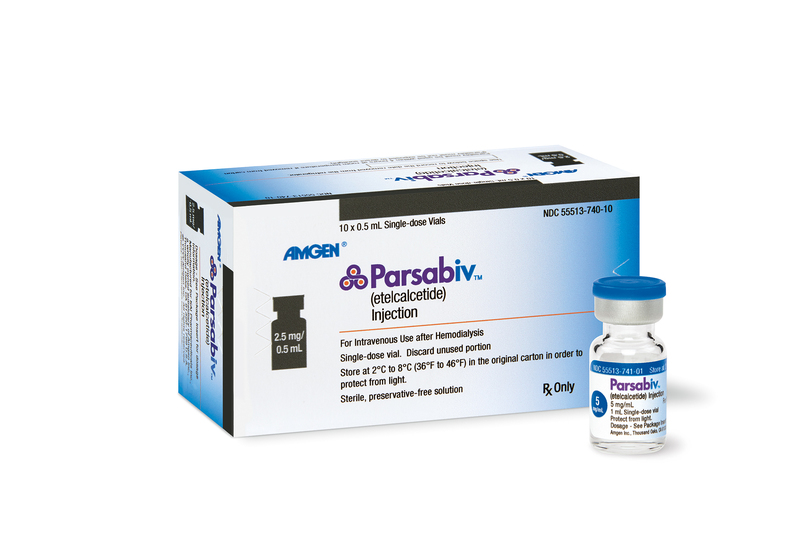 Patients switching from cinacalcet to Parsabiv™ should discontinue cinacalcet for at least 7 days prior to initiating Parsabiv™. Closely monitor corrected serum calcium in patients receiving Parsabiv™ and concomitant therapies known to lower serum calcium. 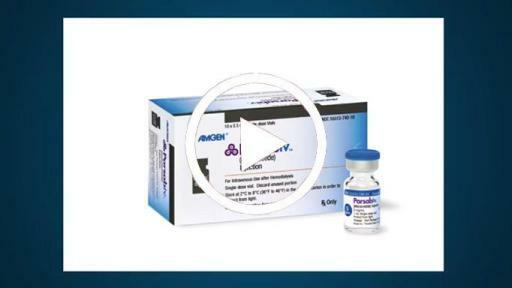 Measure corrected serum calcium prior to initiation of Parsabiv™. Do not initiate in patients if the corrected serum calcium is less than the lower limit of normal. Monitor corrected serum calcium within 1 week after initiation or dose adjustment and every 4 weeks during treatment with Parsabiv™. Measure PTH 4 weeks after initiation or dose adjustment of Parsabiv™. Once the maintenance dose has been established, measure PTH per clinical practice. Worsening Heart Failure: In Parsabiv™ clinical studies, cases of hypotension, congestive heart failure, and decreased myocardial performance have been reported. 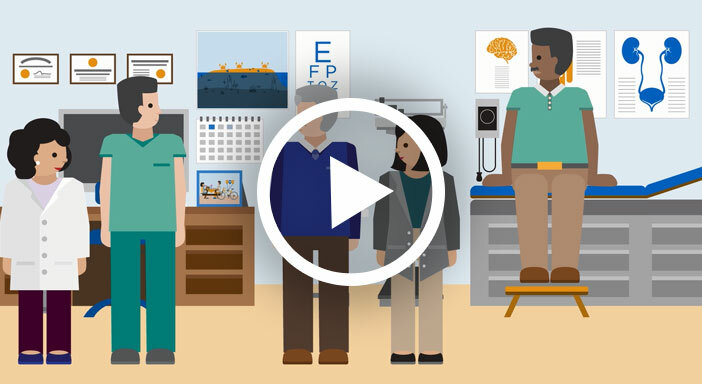 Closely monitor patients treated with Parsabiv™ for worsening signs and symptoms of heart failure. Upper Gastrointestinal Bleeding: In clinical studies, 2 patients treated with Parsabiv™ in 1253 patient years of exposure had upper gastrointestinal (GI) bleeding at the time of death. The exact cause of GI bleeding in these patients is unknown and there were too few cases to determine whether these cases were related to Parsabiv™. Patients with risk factors for upper GI bleeding, such as known gastritis, esophagitis, ulcers or severe vomiting, may be at increased risk for GI bleeding with Parsabiv™. Monitor patients for worsening of common Parsabiv™ GI adverse reactions and for signs and symptoms of GI bleeding and ulcerations during Parsabiv™ therapy. Adynamic Bone: Adynamic bone may develop if PTH levels are chronically suppressed. Adverse Reactions: In clinical trials of patients with secondary HPT comparing Parsabiv™ to placebo, the most common adverse reactions were blood calcium decreased (64% vs. 10%), muscle spasms (12% vs. 7%), diarrhea (11% vs. 9%), nausea (11% vs 6%), vomiting (9% vs 5%), headache (8% vs 6%), hypocalcemia (7% vs 0.2%), and paresthesia (6% vs 1%). Please see Parsabiv™ Full Prescribing Information. 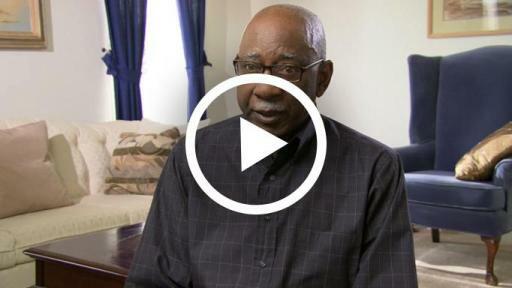 About Sensipar® (cinacalcet) in the U.S.
Sensipar is the first oral calcimimetic agent approved by the FDA for the treatment of secondary HPT in adult patients with CKD on dialysis. Sensipar is not indicated for use in adult patients with CKD who are not on dialysis because of an increased risk of hypocalcemia. The therapy is also approved in the U.S. for treatment of hypercalcemia in adult patients with parathyroid carcinoma and hypercalcemia in adult patients with primary hyperparathyrodisim (HPT) for whom parathyroidectomy would be indicated on the basis of serum calcium levels, but who are unable to undergo parathyroidectomy. Sensipar binds to the calcium-sensing receptor, resulting in a drop in PTH levels by inhibiting PTH synthesis and secretion. The reduction in PTH is associated with a concomitant decrease in serum calcium levels. Sensipar Important Safety Information in the U.S.
Sensipar® (cinacalcet) treatment initiation is contraindicated if serum calcium is less than the lower limit of the normal range (8.4 mg/dL). Sensipar® lowers serum calcium; therefore, it is important that patients are carefully monitored for the occurrence of hypocalcemia. Life threatening events and fatal outcomes associated with hypocalcemia have been reported in patients treated with Sensipar®, including pediatric patients. Decreases in serum calcium can prolong the QT interval, potentially resulting in ventricular arrhythmia. Cases of QT prolongation and ventricular arrhythmia secondary to hypocalcemia have been reported in patients treated with Sensipar®. Significant reductions in calcium may lower the threshold for seizures. Patients, particularly those with a history of seizure disorder, should be carefully monitored for the occurrence of low serum calcium or symptoms of hypocalcemia. In Sensipar® postmarketing use, isolated, idiosyncratic cases of hypotension, worsening heart failure, and/or arrhythmia were reported in patients with impaired cardiac function. The causal relationship to Sensipar® therapy could not be completely excluded and may be mediated by reductions in serum calcium levels. 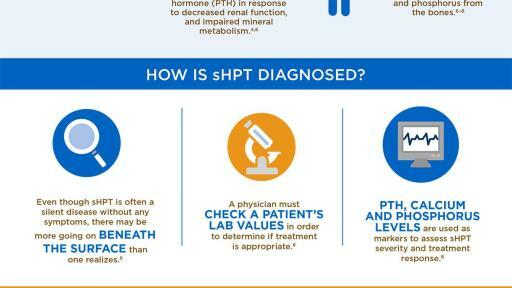 Adynamic bone disease may develop if intact parathyroid hormone (iPTH) levels are suppressed below 100 pg/mL. Patients with moderate to severe hepatic impairment should be monitored throughout treatment with Sensipar®, as cinacalcet exposure assessed by area under the curve (AUC) was higher than in patients with normal hepatic function. Patients with secondary HPT: Serum calcium and serum phosphorous should be measured within 1 week and PTH should be measured 1 to 4 weeks after initiation or dose adjustment of Sensipar®. Once the maintenance dose has been established, serum calcium and serum phosphorous should be measured approximately monthly, and PTH every 1 to 3 months. Patients with primary HPT or parathyroid carcinoma: Serum calcium should be measured within 1 week after initiation or dose adjustment of Sensipar®. Once maintenance dose levels have been established, serum calcium should be measured every 2 months. In clinical trials of patients with secondary HPT comparing Sensipar® to placebo, the most commonly reported side effects were nausea (31 percent vs. 19 percent), vomiting (27 percent vs. 15 percent), and diarrhea (21 percent vs. 20 percent). 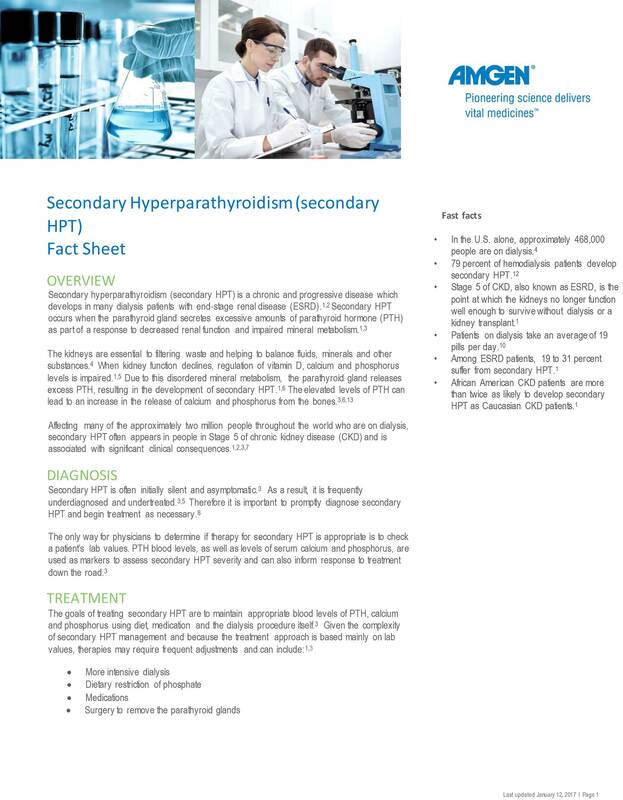 In clinical trials of patients with primary HPT and parathyroid carcinoma treated with Sensipar®, the most commonly reported side effects were nausea (63 percent), vomiting (46 percent), and paresthesia (20 percent). 1 Joy MS, Karagiannis PC, Peyerl FW. Outcomes of secondary hyperparathyroidism in chronic kidney disease and the direct costs of treatment. J Manag Care Pharm. 2007 Jun;13(5)397-411. 2 American Kidney Fund. Kidney failure/ESRD. Available at: www.kidneyfund.org/kidney-disease/kidney-failure/. Accessed on December 20, 2016. 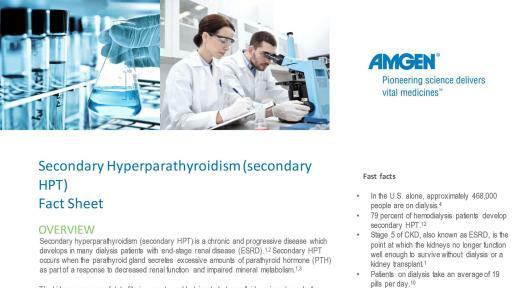 3 Tomasello S. Secondary Hyperparathyroidism and Chronic Kidney Disease. Diabetes Spectrum. 2008 Jan;21(1)19-25. 4 US-DOPPS Practice Monitor, April 2016; http://www.dopps.org/DPM. 5 Kidney Disease: Improving Global Outcomes (KDIGO) CKD-MBD Work Group. KDIGO clinical practice guideline for the diagnosis, evaluation, prevention, and treatment of chronic kidney disease-mineral and bone disorder (CKD-MBD). Kidney Int Suppl. 2009; 76(Suppl 113). 6 Kalantar-Zadeh K, Kuwae N, Regidor DL, et al. Survival predictability of time-varying indicators of bone disease in maintenance hemodialysis patients. Kidney Int. 2006;70:771-780. 7 National Kidney Foundation. Global Facts: About Kidney Disease. Available at: https://www.kidney.org/kidneydisease/global-facts-about-kidney-disease. Accessed December 20, 2016. 8 National Kidney Foundation. Fast Facts. Available at: https://www.kidney.org/news/newsroom/factsheets/FastFacts. Accessed December 20, 2016. 9 Data on File, Amgen; 2016. 10 National Institutes of Health. 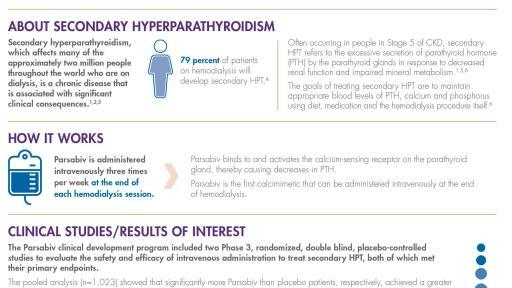 MedlinePlus: Hyperparathyroidism. Available at: www.nlm.nih.gov/medlineplus/ency/article/001215.htm. Accessed December 20, 2016. 11 Moe SM. Disorders involving calcium, phosphorus, and magnesium. Prim Care Clin Office Pract. 2008;35:215-237. 12 National Kidney Foundation. Parathyroid Hormone and Secondary Hyperparathyroidism in Chronic Kidney Disease. Available at: https://www.kidney.org/sites/default/files/02-10-4899_GB_SHPT-PTH_v8.pdf. Accessed December 20, 2016.